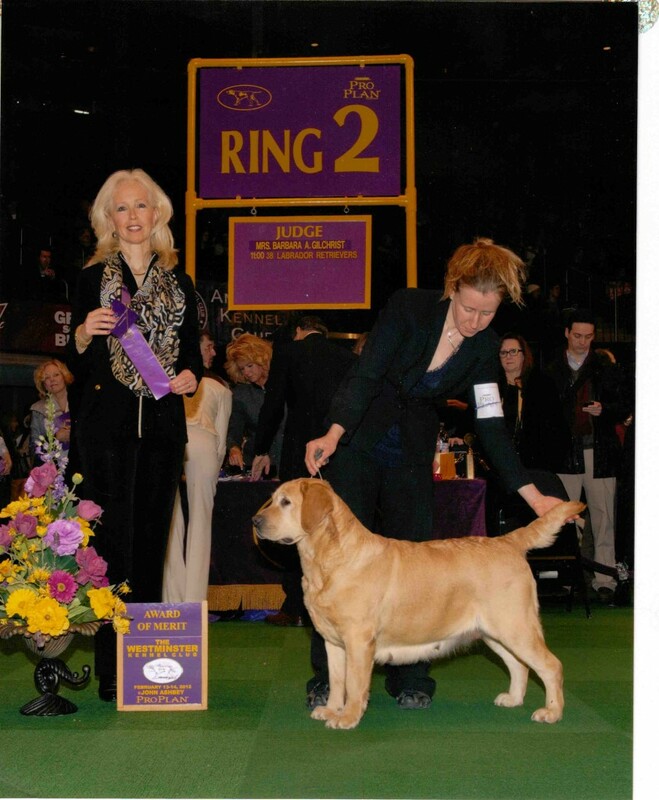 Ark Angels Taste of the Tropic received an AWARD OF MERIT in THE 2012 WESTMINSTER KENNEL CLUB under MRS. BARBARA A. GILCHRIST. Angel Labradors and Noah’s Ark School for Dogs owned and run by master trainer Jen Van Schoick, a breeder of Labrador retrievers and dachshunds in Jackson, New Jersey. We show our dogs in conformation, and do obedience training, fieldwork and companions. We offer training for the dogs we sell. We have chocolate, black, and yellow lab puppies for sale. Arks Angels certifies all dogs with the Orthopedic Foundation for Animals (OFA) before they are bred with OFA preliminaries or OFA certification. We also give a hip and eye guarantee. At Ark Angel Labradors we are dedicated to producing only the best aspects of the TRUE Labrador Retriever. We are VERY active in showing our dogs at their AKC Championships. We currently have three AKC CHAMPIONS and two more about to be finished. Our puppies are home raised in our deluxe whelping room with heated floors for the pups comfort. They are socialized and handled daily to create THE PERFECT FAMILY PET. Parents are OFA certified, including hips, heart, and elbows. Ark Angels Tugger on TV NBC News!! !